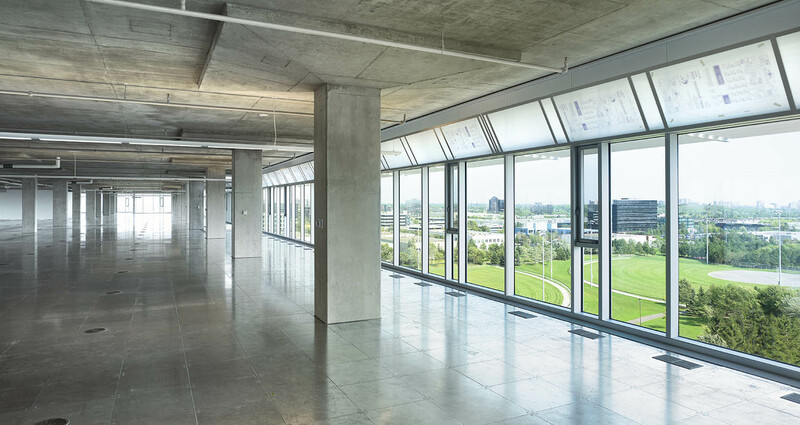 AeroCentre V introduces the next generation of sustainable office design to the suburban, multi-tenant building model focused on: comfort, health, tenant flexibility and energy efficiency. 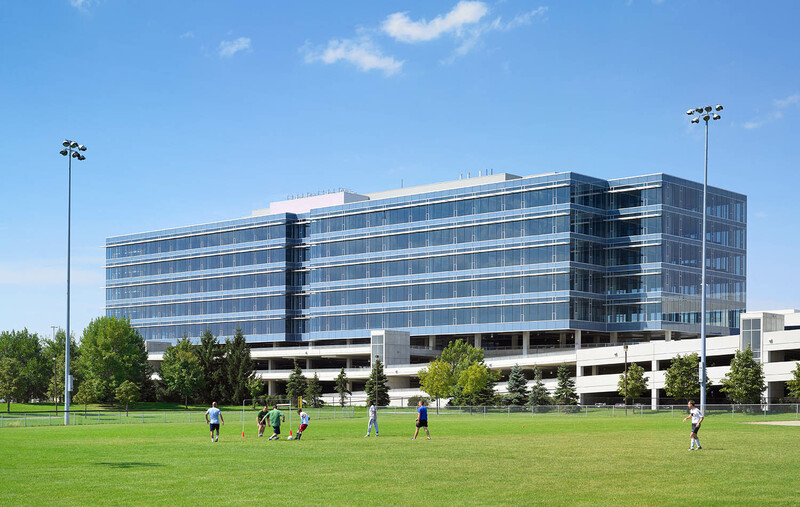 It demonstrates the successful intensification of the suburban office landscape and provides an alternative to suburban sprawl. 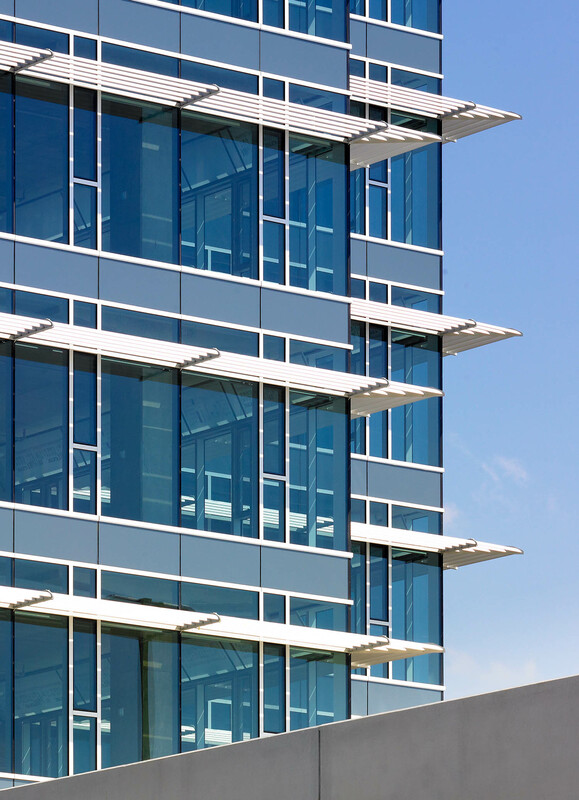 This project is LEED® Gold. 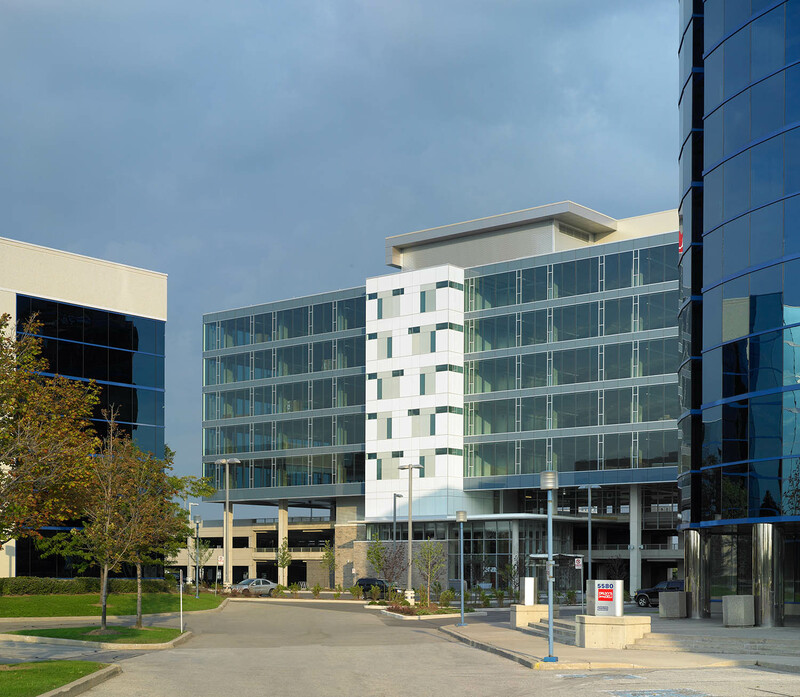 AC-V is located in the Airport Corporate Centre of Mississauga. This area is a typical suburban office context: arterial roads, large properties and vast surface parking lots. 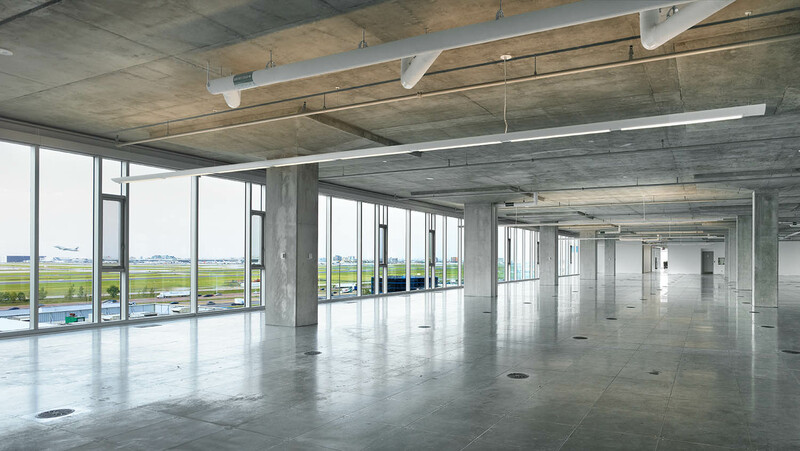 AC-V turns this model on its head; occupying little land, stacking parking and program space, supporting intensified municipal infrastructure and promoting sustainability - all within a standard office budget. 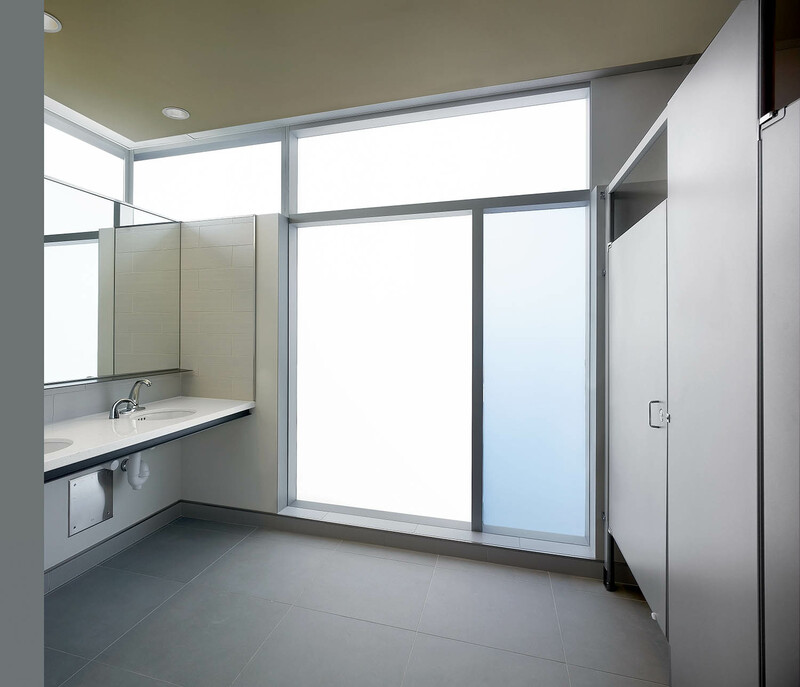 Although the campus was considered a fully built-out office site with four existing buildings, the unorthodox insertion of a new office building, hovering above integrated parking levels in the existing campus makes AC-V a unique and revolutionary model of development. 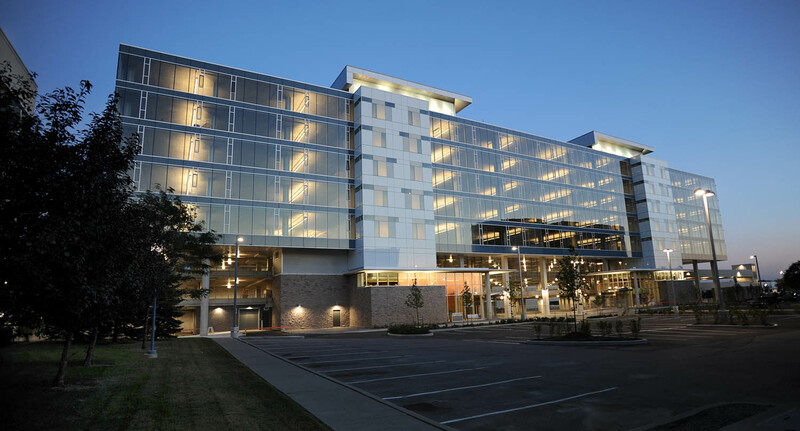 Most notable is the energy performance which exceeded the projected savings of 55% over traditional office buildings and is achieved by: underfloor HVAC with low fan energy and long free-cooling periods, exterior solar shading minimizing heat gain, automated blinds and light shelves maximizing natural daylighting, sun and occupancy sensors linked to dimmable lighting, operable windows for natural ventilation, large 45,000 s.f. 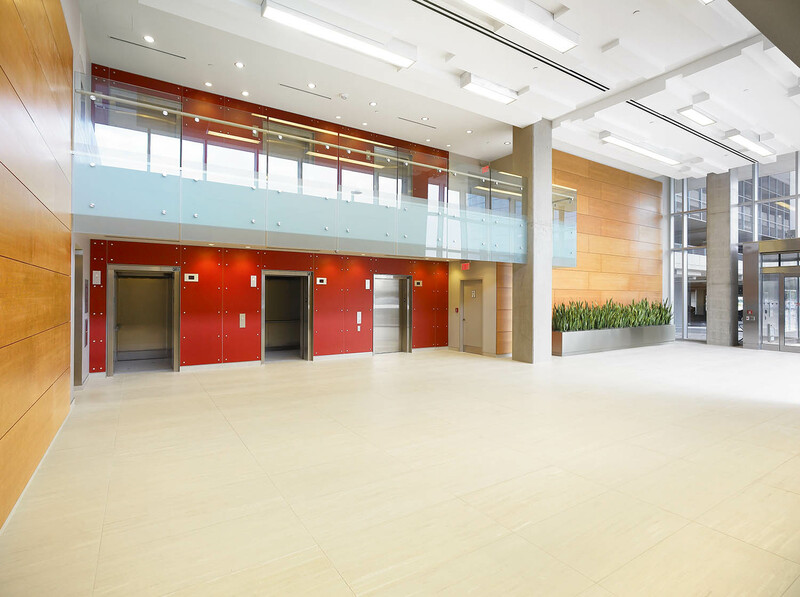 floor plates with effective solar orientation and a high-quality building envelope. 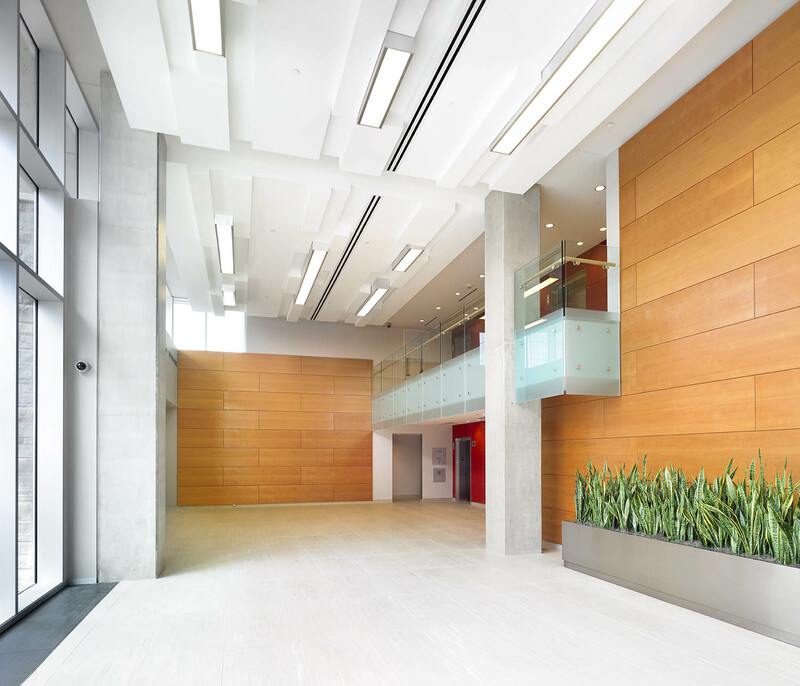 Completed in 2011, the project was built entirely on spec and, due to the strength of the building design and sustainability features, has been and continues to be fully leased. 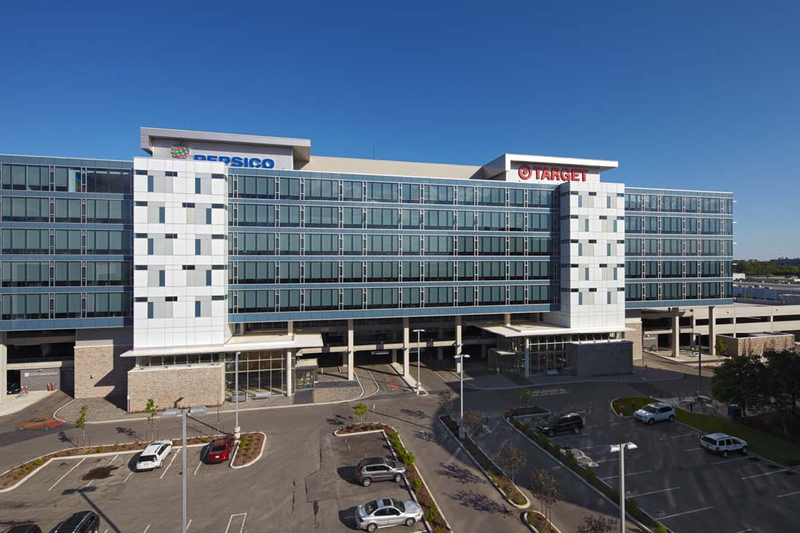 As of 2018, it is occupied by two major tenants – PepsiCo and PointClickCare. Target Canada was a previous tenant while they were in Canada. 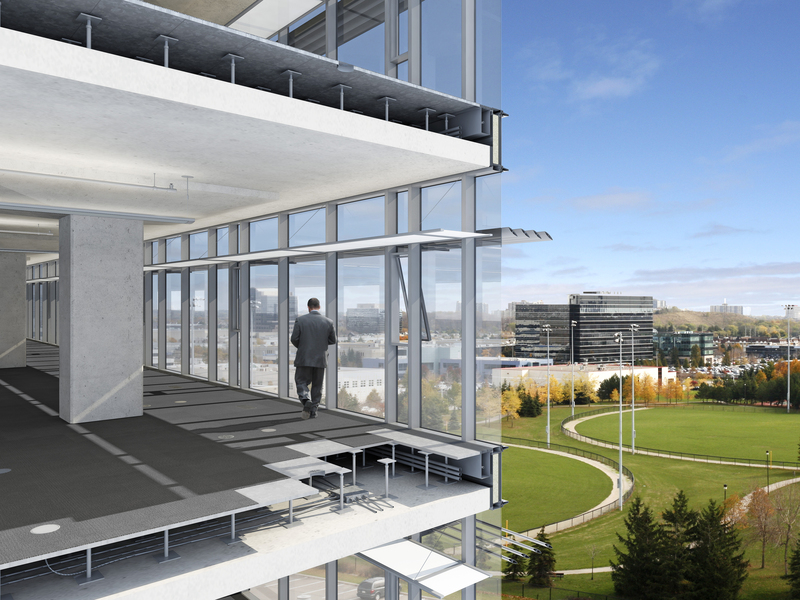 AeroCentre V is a model for the intensification of the suburban environment and serves as a showcase for the sustainable workplace that will become the imperative of the future. 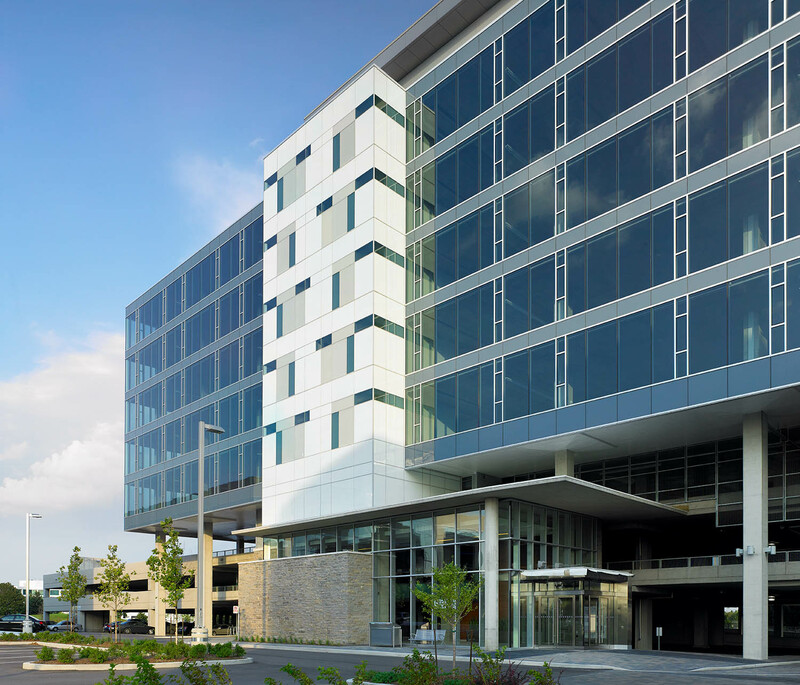 Over the years, it has been recognized multiple times through renowned municipal and industry awards for its overall excellence in site planning, structural design, building operations and office innovation.